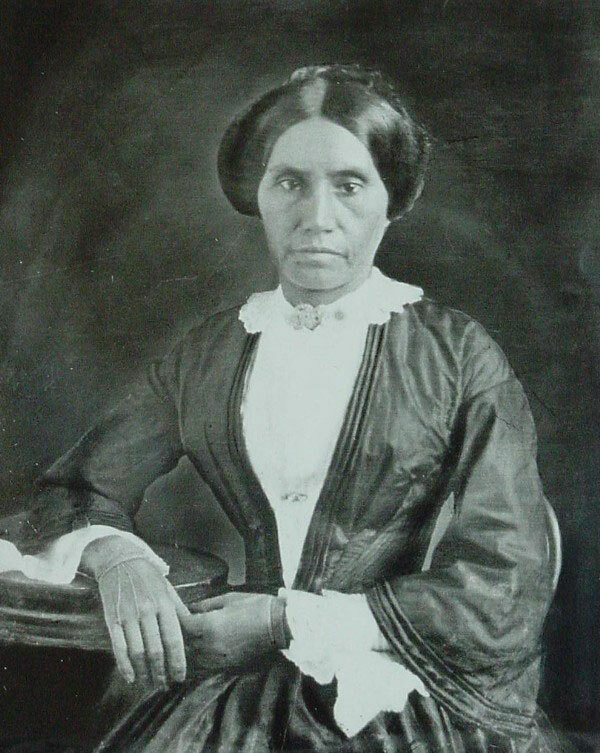 Sarah Ridge Pix, known to her family as Sallie, was born in 1814 to parents Major Ridge and Sehoyah, Cherokee Indians in Georgia. Her father signed a controversial peace treaty with the federal government that was supposed to protect the tribe. Instead, the treaty led to the Trail of Tears where officials forced the Cherokee to move to Oklahoma and Arkansas during which 4,000 died. Forced out of Georgia, Sarah married George Washington Paschal, a young lieutenant guarding the Cherokees. By 1848, the family moved to Galveston where George practiced law at 23rd and Church Street. Together they had six children. Allegedly, Paschal felt being married to a Cherokee diminished his chances of holding political office so the couple divorced in 1850. Sarah continued living in their house at 14th and Ball Street and used traditional Cherokee medicinal remedies to treat patients during the numerous yellow fever outbreaks. In one account, she ordered her slaves to gather orange tree leaves, which she boiled into a tea to bring down the fever. Six years later Sallie remarried a man twenty two years younger than her named Charles S. Pix, son of the wealthy, English real estate developer. His father, Christopher Pix owned part of block 501 at the corner of 22nd and Postoffice Street. One of his buildings still stands today on that corner. The couple married in the home of former Republic of Texas president, Mirabeau Lamar. Later that year, Sarah traded her property in Galveston to Mrs. Ellenor Frankland for 500 acres in Smith Point in Chambers County. There, they ran a successful cattle ranch and had one child that died as a teenager. Unfortunately, Charles was not a faithful husband and after many turbulent years, they divorced in 1880. Courts ruled that Sarah could keep the property. She died on January 8th 1891 at age 76.